The best advice we ever receive in business and in life is given to us in less than a minute. In this fictional parable, the authors promote three principles that they believe are critical to achieving and sustaining entrepreneurial success. Each chapter ends with “One Minute Insights” that provide good takeaways. 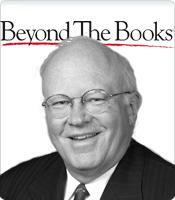 As a renowned author, Ken Blanchard has achieved a unique accomplishment: Inducted into Amazon.com’s “Hall of Fame” as one of its top 25 best-selling authors of all time, Blanchard has built his impressive book-selling track record on the notion that the best advice we ever receive, in business and in life, is given to us in less than a minute. Few people talk like auctioneers, spewing forth hundreds of words per second, so in the publishing industry where the currency is volumes of words, there’s some irony to the fact that Blanchard’s message touts the power of sparse words. Obviously, he has the right message for the right time. Blanchard’s latest book, The One Minute Entrepreneur, follows in the tradition of brevity found in his earlier works, such as The One Minute Manager (and several spin-offs), the Generosity Factor, Know Can Do! and Whale Done! 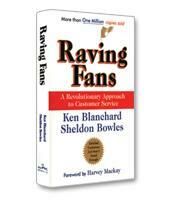 As he does in his previous books, Blanchard collaborates with other successful entrepreneurs. This time Blanchard partners with corporate performance trainer Don Hutson and entrepreneurial coach Ethan Willis. 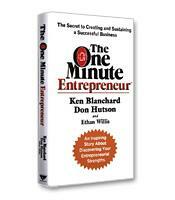 Essentially, The One Minute Entrepreneur pays homage to two entrepreneurs: Charlie “Tremendous” Jones, founder of Executive Books, and Sheldon Bowles, the best-selling author and business executive. Rather than just write about these two men, the authors weave Jones’ and Bowles’ life lessons and advice, garnered from their collective experience, into a fictional parable about the challenges facing an entrepreneur and his family. The authors focus on three principles that they believe are critical to achieving and sustaining entrepreneurial success. Learning how to manage money is the first principle. Keeping a steady cash flow in the revenue pipeline is key. The authors write that a critical component of this principle is ensuring that customers pay their bills in a timely manner. Their second principle focuses on company talent and empowering employees to take responsibility for your business. It’s a smart strategy since it motivates workers to share the heavy lifting of growing a new business. The third principle is taking care of your customers so they can take care of you. These are not earth-shattering nor contrarian revelations. In fact, these concepts can be found in many standard texts that focus on business creation and management. The most useful elements of the book are the “One Minute Insights” that appear at the end of each chapter. These, for the most part, are good takeaways, especially when their insights offer a new angle, such as “A strength taken to its extreme can be a liability,” or “If nobody will pay you to do what you love, you have a hobby not a career.” The authors offer common-sense advice that is worth repeating. Some readers might even be put off by the highly moralistic tone that underscores a few of the book’s insights, such as “What is right is more important than who is right,” and an occasional phrase such as “Relationships at work and at home can deteriorate when they aren’t nourished,” might even evoke a few yawns. Learning is a very personal experience. Some students learn better with textbook-style content; others need a narrative to feel engaged with the subject matter. Blanchard’s signature parable in less deft hands could fall flat. The beauty of using dialogue, such as that found in The One Minute Entrepreneur, is that the authors can anticipate the questions readers might have and include the appropriate answers in their fictional characters’ conversations. Where it gets tricky is weaving real quotes from the lives of Jones and Bowles into this virtual environment. Thankfully, the authors make it work. In addition, for readers who want some immediate feedback, the authors offer an informative exercise in the book’s brief appendix. To reinforce their message, Blanchard and Hutson have included the 20 attributes of successful entrepreneurs developed by entrepreneurial coach Ethan Willis. To help readers learn more about how their own attributes match up, the authors offer a free online self-assessment tool.